Mian Xiang (pronounce: “myan syang”) – Chinese art of Face Reading. 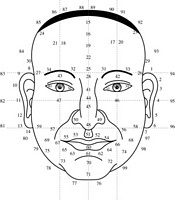 It is a part of Physiognomy, study – one of the Five Chinese Arts (Wu Xu) related to the shape and features of a human face as well as of a piece of land in question. Every human face can be read as a map of a 100 years old person. 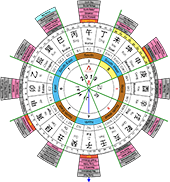 Mian Xiang is a highly efficient method of defining man’s options in life, health, character and wealth in specific periods of time. All this based on the observation of the person’s ears, eyes, forehead, nose and mouth. or a housewife looking for a baby sitter. all those who are interested to learn about the subject from a credible source cannot be underestimated, can it? Joey Yap designed this course referring to the traditional sources such as ‘Shen Xiang Chuan Pian”, “Shen Xiang Tie Guan Dao” as well as to his own experiences in face reading.